"The government shoulders some responsibility when it fails to protect its citizens," said Younadim Kanna, an Iraqi parliamentarian who is Christian. "Despite all of these terrorist attacks against the Christians, we are determined not to leave our country. And we will not be intimidated." by George Slefo and Pam DeFiglio. Carrie Porter also contributed to this story. A deadly attack that killed more than 60 people at a church in central Baghdad last Sunday has triggered a new local movement by Iraqi-Christian Americans. SAWRA, which means hope in Assyrian, is working with a coalition of organizations in planning to draw thousands of demonstrators to the James R. Thompson Center in downtown Chicago on Monday. From there, the group will march to the nearby federal building and hopefully grab the attention of elected officials about the plight of those in Iraq. "We want to speak to the representatives and tell them to pay attention -- that they need to protect the indigenous people of Iraq," said Arbela Baba, 23, a SAWRA member from Skokie. "They promised us they would." The movement comes just days after the attack by Muslim terrorists from an al-Qaida affiliate called the Islamic State of Iraq (ISI). Gunmen stormed the church and held dozens of parishioners hostage for several hours. The armed group eventually killed many of their captives using machine guns, grenades and suicide bombers when police raided the building to end the standoff. Many media outlets described the slayings as the bloodiest attack on an Iraqi Christian church in decades. The ISI said it would continue to execute Iraqi Christians until the release of two Egyptian women being held prisoner by Coptic monks in Egypt. Now, SAWRA has scheduled rallies in several cities across the globe to raise awareness. Chicago organizers will join those in Phoenix, Detroit and London as well as in Sweden and Australia to express their indignation. Organizers have even secured nine buses to transport demonstrators from Skokie, Des Plaines, Niles and various parts of Chicago, such as Warren Park, to the rally. While SAWRA plans on getting politicians' attention by rallying, other groups are helping out in a different way. In three days, ﻿she has collected more than 20,000 letters to send to the White House. "People want to do something about this." Canon said. "A lot of our people are reaching out from places like Illinois, Michigan, Arizona and California." About three years ago, Rand Ishaq, an 18-year-old Assyrian, ﻿was living in Iraq with a different set of rules. "We had to wear something over our heads to school to pretend that we were Muslims," said the senior at Niles North High School. "We had to do that. We didn't go to church because we were so scared. expecting that something bad was going to happen." Unfortunately, Ishaq and her family were right. Now, she plans on showing her support for those killed by attending the rally, and is even working with friends to raise money for Christian families in Iraq by selling ribbons. While Iraq is largely made up of Muslims, a small portion of the population is Christian, with many falling into the Assyrian, Chaldean or Syrian faith. Members of Niles North's Assyrian Club are planning to skip school so they can attend the event in downtown Chicago and are asking their peers and relatives to join them. "I just want people to know that there are Christians in Iraq; that they just want to pray and practice their faith; but that they are getting killed," said Kaiser Hermiz, a senior and member of the high school club. "Al-Qaida said they are going to kill every Christian in Iraq and it's terrifying," he added. Denita Shino, a 16-year-old junior at Niles North and another club member, said she felt obligated to do something when she first heard the news about the church massacre. "I feel it's every Christians' responsibility to go to this rally," Shino said. "We can't sit here and do nothing about it." Meanwhile, the upcoming rally has instantly become a hot topic within the community. Angie Warda Dwyer, a Morton Grove resident who left Iraq in 1991, said the recent ﻿attack is "100 percent about religion." "I talk on the phone with my relatives in Iraq young men will guard the churches all night long," she said. "It's a problem for Christians in Iraq. "Nobody's helping them," Dwyer added. " The Sunni and Shia kill each other, but they're getting together to kill Christians." Ninorta Kasso, who works at her family's printing shop in Niles, hopes both sides keep things in perspective. "Before, they would say, 'You either convert or we kill you,' " she said. "Now, it's bombing churches, killing priests, kidnapping priests and taking people hostage. "These are Muslim extremists doing this. It's not all Muslims -- a lot of Muslims are against what they are doing," Kasso added. BAGHDAD, Iraq (AFP) — As she lay in a Baghdad hospital bed awaiting her evacuation to France for treatment Monday, Siba Nadhir still did not know her husband had been killed in the church bloodbath in which she was wounded. "They told me it would be better for my baby if I went to France for treatment," said the 30-year-old Christian, who took two bullets to the back in the October 31 hostage-taking and is four months pregnant with a baby her husband will never know. "I don't want to go," she confided. "I would rather stay here near my husband who was wounded and is in intensive care." In the corridor outside the ward in Baghdad's Saint Raphael Hospital, her aunt Feryal tearfully admitted that she had not had the heart to tell her niece that her husband did not make it. She said she planned to tell her before she was taken aboard the medical evacuation flight to Paris which left later the same day. The aircraft carried 35 Iraqis -- all Christians apart from a Muslim guard -- who were among the wounded in the shootout between Al-Qaeda militants and Iraqi and US security forces at Baghdad's Syrian Catholic cathedral. Initially 36 wounded were due to be evacuated but one of them was left behind because he was considered too frail for the flight, an airport official said after the departure. 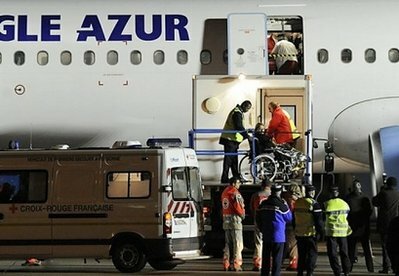 The flight took off from Baghdad at 7 pm (1600 GMT), a French diplomat said, after a two-hour delay because of traffic jams which held up the ambulances used to ferry the 12 most seriously wounded patients, including amputees. The flight headed for Orly airport was also to carry 21 carers. Before the transfers to Baghdad airport, Mohammed Munir, in an adjacent ward to Nadhir's, was happier about the opportunity to receive specialist treatment in a French hospital. "I want to stay in France to receive the best possible care," said the 30-year-old. He said he had only been back in Baghdad a month after five years studying mechanical engineering in Russia when a grenade shattered his right hand as he was attending Sunday mass. The hand had to be amputated. In all, 44 worshippers, two priests and seven security force personnel died during the seizure of the cathedral and the ensuing shootout when it was stormed by troops. The five militants who carried out the attack also died. Around 60 people were wounded in the bloodbath, and France swiftly offered to provide specialist treatment for those with the most serious injuries. On the eve of the medical evacuation, Immigration Minister Eric Besson said it fitted into France's "tradition of asylum." "France is the leading land for asylum in Europe and the world's second behind the United States," Besson told reporters. "We are the European country that receives the most refugees who have been persecuted because of their political opinions, their religion or the colour of their skin." But France's response to the assault on Iraqi Christians has not been without controversy, with some community leaders warning that it will lead to a new exodus among the already dwindling minority. An estimated 800,000 Christians lived in Iraq before the US-led invasion of 2003, but their number has since shrunk to around 500,000 in the face of repeated attacks against their community and churches. France has not only evacuated wounded Christians for treatment. It has also given asylum to healthy ones in the face of Al-Qaeda's threat of more attacks like the one on the Syrian Catholic cathedral. Besson said 1,300 Iraqi Christians had been granted asylum in France since autumn 2007, an acceptance rate of 85 percent for asylum-seekers from among the community. He said France planned a second evacuation flight "in the coming weeks" to bring out a further 93 Christians. Iraqi Christian MP Unadem Kana said France's policy flew in the face of its proud boasts to secularism. "In the face of Al-Qaeda's threats, the solution is not to remove Christians from Iraq," he said. by David Campanale, BBC. November 9, 2010. Last updated at 21:47 ET. The French government has said it will defend the rights of Christian minorities living in Muslim countries around the world. The pledge came from Immigration Minister Eric Besson after he met 36 Iraqi Christians who survived an attack by Islamic extremists against a church in Baghdad. They are now receiving treatment in Paris. The BBC's David Campanale reports. 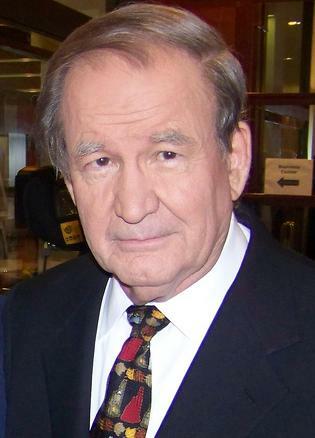 Patrick J. Buchanan in 2008. While Saddam Hussein, a secularist, had protected religious minorities, Muslim vigilantes -- Shia, Sunni and Kurd, as well as al-Qaida -- have attacked the Christians who have endured kidnappings, pillage, rapes, beheadings and assassinations. "If recent history is any indication, Tariq has cause for concern," wrote Allensworth. "The Shiite uprising in southern Iraq during the first Gulf War -- encouraged and then abandoned by Washington -- targeted Christians. Many Christians had supported Saddam's regime, in spite of creeping Islamicization, as their best hope of survival in the Islamic Middle East." "Across the Middle East," writes Robert Fisk in The Independent, "it is the same story of despairing -- sometimes frightened -- Christian minorities, and of an exodus that reaches almost Biblical proportions." "Although Christians are no longer tossed to the lions in the Roman Colosseum, believers are routinely murdered, imprisoned, tortured and beaten. Churches, businesses and homes are regularly destroyed. The opportunity to meet for worship and prayer is blocked. There is real persecution rather than the cultural hostility often denounced as 'persecution' in America." *Mr. Buchanan* is a nationally syndicated columnist and author of Churchill, Hitler, and "The Unnecessary War": How Britain Lost Its Empire and the West Lost the World, "The Death of the West,", "The Great Betrayal," "A Republic, Not an Empire" and "Where the Right Went Wrong." by Salim Mansur (salim.mansur < a t> sunmedia.ca), QMI Agency. Published in Calgary Sun. November 6, 2010. The non-Muslim world is increasingly not surprised and unmoved by the depravity of Muslim jihadis committing outrage, one after another without end in sight, and what can only be explained, unsatisfactorily, as a pathological wish to cause pain to the living by random acts of terrorist violence. The murderous attack on the church in central Baghdad last Sunday by Muslim terrorists, if we go with the news reports, was merely another not unusual blood-soaked event in the daily cycle of news from Muslim countries. But if such an atrocity was not just another criminal event in a "normal" day across the Arab-Muslim world, then we should have heard of a special meeting being called at the UN, or in one of the capitals of member states of the Organization of the Islamic Conference, to express outrage against those who killed innocent worshippers inside Our Lady of Deliverance Syriac Catholic Church in Baghdad. We then should have heard of Muslim political and religious leaders expressing their grief over the dead and wounded — there were some 120 Iraqi Christians in attendance at the Sunday evening mass when Muslim terrorists attacked the church and left 58 dead with only a dozen escaping unhurt. Instead, we have deathly silence of the Muslim leadership as non-Muslim minorities inside the Arab-Muslim world are routinely abused, their homes and places of worship under daily duress, and their hearts filled with fear of violent death in the hands of Muslim jihadis. The silence signifies the abdication of any responsibility by governments of the Arab-Muslim world to protect non-Muslims in their countries, and severely punish those who target them. Then there is the ignoble silence of Muslims here in Canada, and across the West, over the repeated atrocities committed against non-Muslim minorities in places like Iraq, Iran, Indonesia, Egypt, Nigeria, Pakistan, or Sudan. This silence of Muslim minorities in the West is even more despicable than that of Arab-Muslim governments. It reveals how little they understand, or respect, the political culture of societies where they have made their homes. On the contrary, there is shrill denunciation by Muslim governments, and organizations representing Muslim minorities in the West, of the manufactured problem of "Islamophobia." Earlier this year the UN human rights council passed a resolution on "combating defamation of religions" with particular reference to Islam. The resolution, pushed by the OIC members, denounced anti-Muslim discrimination in the West following 9/11. It also expressed deep concerns in respect to Islam "frequently and wrongly associated with human rights violation and terrorism." The gap between the resolution lobbied for by the OIC and the silence of its members over atrocities committed against non-Muslim minorities inside the House of Islam (dar al-Islam) illustrate the perversity of Muslim political-religious leaders. Similar is the perversity of Muslim organizations in Canada and the West remaining silent in the face of outrageous crimes and defamation of religions by jihadis, while condemning Islamophobia where it is more or less non-existent. The simple truth is Muslims are among the worst perpetrators of crimes against non-Muslims, and penalties based on obsolete jurisprudence of Shariah implemented in Muslim states violate the UN Charter and the Declaration of Human Rights, to which they are signatories. by Eliza Griswold. The Daily Beast. A bloodbath in a Christian sanctuary full of worshippers this week signaled a new shift in violence in Iraq. Eliza Griswold talks to an Iraqi who escaped persecution—but only after his father was killed. Mazin al Saqa is a 35-year-old Iraqi Christian doctor living in the United States. Exactly where, he'd rather not say in order to protect his family still in Iraq. A few days ago, he learned that his cousin was taken hostage by an al-Qaeda affiliate, the Islamic State of Iraq, during this week's attack on a Catholic Church in Baghdad called Our Lady of Salvation. According to the U.S. State Department, of the estimated 1.4 million Christians in Iraq, roughly 500,000 have fled their homes since the U.S. invasion. "The persecution really began in 2005," Mazin said. His family was one of the first to be targeted. Living in the northern town of Mosul, Mazin's family has belonged to the local Presbyterian Church for at least six generations. The church was founded in 1840. His father, Elder Munthir al Saqa, was one of the town's most prominent Christian leaders. In predominantly Muslim countries, religious minorities—from Christians to fellow Muslim groups—often serve as canaries in the coal mine for larger issues of tolerance. 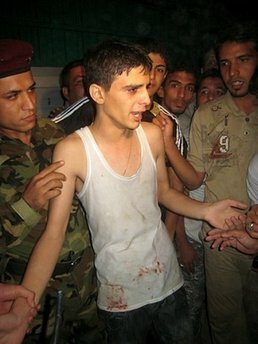 On November 22, 2006, his father was kidnapped by Islamist militants. Right away, Mazin's phone rang. They wanted a $1 million in ransom—an impossible price. The kidnappers knew the family couldn't pay it. "They told me they wanted to kill him," Mazin said. And five or six days later, the militants shot his father and left his body in the street. 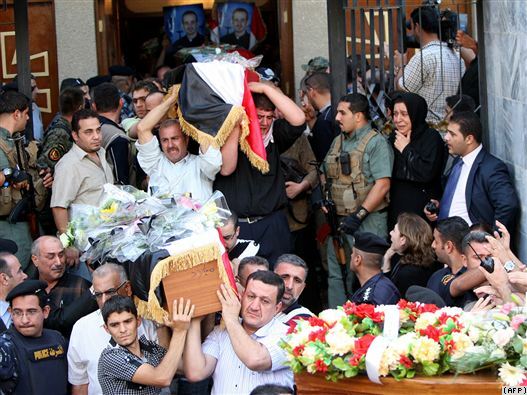 "He became a martyr," Mazin said. For many Christians, contemporary martyrdom isn't an Islamic phenomenon; it's a Christian one, too. Leading Christian demographers put their numbers of martyrs at 70 million to Islam's 80 million. And they place the majority of Christians killed in the 20th century. For Middle Eastern Christians, Mazin recalled his father saying, "You take faith by your own will and you die for it." Like father, like son. A few days after his father's murder, Mazin's cell phone rang. "Your time has ended, Mazin," the voice said on the phone. "You have corrupted many Islamic minds, and your church must be closed." The kidnappers showed up at his house, but Mazin was able to escape, first to Jordan; then, in February of 2009, to the United States, thanks to a joint program run by the United Nations High Commission for Refugees and the intergovernmental organization, the International Office of Migration (IOM). "They told me not to say I was fleeing religious persecution," he said. "Then, they'd have to give all Iraqi Christians asylum." Mazin was able to bring his mother, a 62-year-old widow, and his two unmarried sisters out of Iraq. But he had to leave others behind. To support them, he teaches anatomy and sociology at a local community college while he studies for his exams to be certified as a doctor in the U.S. There are six other Iraqi doctors he knows studying for the same certification exam. "They're all Christians and they all have stories just like mine," he said. Religious persecution is one of the most pressing human rights issues of our time. And it doesn't just apply to Christians. Other religious minorities, such as Ahmadiyya Muslims, are also facing increasingly violent attacks in their home countries of Pakistan and Indonesia. (On May 28, 2010, in the most violent massacre to date, more than 80 Ahmadiyya were killed in an attack in the Pakistani city of Lahore.) Most Muslims generally hold that the Islamic Messiah has yet to arrive on earth; the Ahmadiyya believe that this reformer already came in the person of Mirza Ghulam Ahmad. In Pakistan, persecution is nothing new. The group was sentenced to death for apostasy decades ago. In Indonesia, which, with 240 million people, is the world's largest and most vibrant Muslim democracy, the Ahmadiyya have also been facing increasing persecution. One California-based human-rights lawyer, Amjad M. Khan, who represents persecuted minorities like the Ahmadiyya and Egyptian Christians attempting to gain asylum in the United States, sees more and more cases each year. "This isn't just a human-rights issue, this is a security concern," Khan says. He notes that in predominantly Muslim countries, religious minorities—from Christians to fellow Muslim groups—often serve as canaries in the coal mine for larger issues of tolerance. To monitor such abuses, the United States passed the International Religious Freedom Act in 1998. The State Department formed an Office of Religious Freedom. Now, the U.S. generates an annual report that monitors violence against religious minorities in foreign countries, and lists countries of particular concern. Critics of the International Religious Freedom Act, note, however, that the State Department doesn't monitor the United States, where violence against Muslims has faced a marked uptick in the past several years. As for Mazin al Saqa and his family, now safely hidden in the United States, he says that many Americans still don't understand what Iraqi Christians are suffering. He meets many people who don't know that there have been Christians in Iraq for centuries. Issues of persecution and religious freedom can be hard for Americans to understand, he said. "Religious freedom is a privilege and not every country has it." This Monday, Iraqi Christians will be marching in American and European cities to draw attention to their plight and to the horror of this week's attack. The march is, above all, Mazin says, a bid to build some understanding of how dire religious persecution actually is. "Have you lost your country? Have you lost your hometown?" Mazin asked. "I lost everything I couldn't carry—days, trees, even memories." by Reza Aslan. The Daily Beast. Iraq’s 2,000-year-old Christian community is on the brink of extinction, its members targeted by al Qaeda attacks and fleeing abroad. But Hillary Clinton, the one person who could force the Iraq government to act, is keeping her mouth shut. A full-scale genocide is under way in Iraq: a well-planned, well-financed, deliberate plot to cleanse the country of its Christian citizens. And thus far, neither the Iraqi government nor the United States is doing anything to stop it. On Wednesday, al Qaeda militants launch a synchronized bombing attack on 11 Christian communities throughout Iraq, killing six and wounding more than 30. That attack followed on the heels of the ghastly assault last month on Christian worshippers attending a service at Our Lady of Salvation church in Baghdad, in which 58 people were brutally murdered and another 60 wounded. Yet beyond these empty words, the Iraqi government has done absolutely nothing to protect the besieged Christian community from further attack, despite a promise from al Qaeda in Iraq that “all Christian centers, organizations and institutions, leaders and followers, are legitimate targets for Mujahedeen wherever they can reach them.” Indeed, just a couple of days after Maliki’s speech, three more bombs aimed at Christians went off in western Baghdad. Americans of all faiths must band together and pressure the State Department to do something about the wanton murder of Iraqi Christians before there are no more Christians in Iraq to protect. Christians are a small but historic part of the religious fabric of Iraq. Although they make up only about 1 percent of the population, Christians have been in this part of the world for 2,000 years, as evidenced by the stunningly beautiful churches and ancient monasteries that dot the Iraqi landscape. The town of Mosul is mentioned in the Bible, where it is known as Nineveh. And, to this day, some Iraqi Christians continue to speak Aramaic, the language of Jesus. But now this historic community is on the brink of extinction. Since the American invasion in 2002, more than half of Iraq’s Christians have fled the country. The Christian community, like everyone else in Iraq, was caught up in the ethnic war that erupted in 2004 between the Shiites and Sunnis, and they have frequently been targeted both by Iraqi militants and by the mostly foreign fighters who constitute al Qaeda in Iraq. But Iraq’s Christians have not experienced anything like the deliberate targeting of their community over this past year. Hundreds of Christians have been murdered in 2010 and thousands more have left the country, fearing for their lives and the lives of their loved ones. Despite this unprecedented bloodshed, little effort has been made by the Iraqi or U.S. governments to secure the livelihoods of Iraq’s Christians. “I blame the government for all these attacks. It’s a very weak government and it can’t protect us,” Zeya Moshi, an Iraqi Christian, told the Christian Science Monitor. After meeting with Maliki, the Syrian Archbishop Matti Shaba Matoka sounded less than confident in the government’s ability to protect his congregation. “The security authorities promised to protect us, but we don’t know what kind of procedures they’ve put in place,” he told the Christian Science Monitor. The silence of the Iraqi government has led to calls from the U.K.-based Syriac Archbishop Athanasios Dawood for Iraq’s Christian community to flee the country. “The Christian people should leave their beloved land of our ancestors and escape the premeditated ethnic cleansing,” he said in a statement to CNN. “This is better than having them killed one by one.” Many Christians have already left Iraq; almost 150 were recently granted asylum by the French government. Those who cannot afford to do so have found some measure of refuge in the Kurdish north. The prime minister is right. Emigration is not the answer. Christians were residing in Mesopotamia more than 500 years before Muslims arrived in the region. This sacred land belongs as much to them as to anyone else, and it would be a tragedy if it were stripped of its Christian presence. But without a concerted effort to protect the Christian population, the Iraqi government will be complicit in what is fast becoming a catastrophic act of ethnic cleansing. Reza Aslan is author of the international bestseller No god but God and Beyond Fundamentalism. His new book is Tablet and Pen: Literary Landscapes from the Modern Middle East. Follow him on Twitter and Facebook. Iraqi Christians carry the coffins of those slain in the recent church attack during a funeral service at a church in Baghdad. Photo: AFP. by Radio Free Europe. November 11, 2010. Two weeks ago, militants in Iraq laid siege to a church in Baghdad, in an attack that killed more than 50 Christians and prompted condemnation from around the world. That attack -- along with a spree of targeted killings of Christians in Baghdad this week -- also put a spotlight on the status of religious minorities throughout the broader Muslim world. RFE/RL's news director, Jay Tolson, discussed the meaning and impact of these attacks with Paul Marshall and Michael Horowitz, both experts on religious freedom at the Hudson Institute, a nonpartisan policy-research organization dedicated to innovative research and analysis that promotes global security, prosperity, and freedom. RFE/RL: Is it dangerous now, is it problematic at least, for Christians and non-Muslims to live in the part of the world that some people are now calling the "Muslim World?" Paul Marshall: Yes Jay, it's increasingly dangerous. The attack on the Catholic Church in Baghdad, explicitly by Al-Qaeda, that's unusual. And Al-Qaeda has followed up on that with saying that because of events in Egypt, all Christians in the Middle East are now legitimate targets for attack. That sort of explicit terrorist threat is relatively new, but with the increasing power of more radical forms of Islam, the Christians in that area and even in North Africa but certainly in the Levant, also over into Iran, Christians are feeling more and more threatened. And in my contacts, my conversations with them, there is a level of tension, anxiety, and fear that you did not see 20 years ago, 30 years ago. Michael Horowitz: I would say it's even more dangerous for the West if we continue to ignore it, if we allow it to happen, if we don't treat it as a priority. And I think even more interestingly, it is more dangerous for Islam if we, in the West, ignore it. When I first got involved in the whole issue of religious persecution and specifically Christian persecution some 10 years ago, people at the State Department ignored it -- they wouldn't want those people as neighbors. They called it "ethnic conflict," and I came to understand that the people with the highest stake in this battle, with the greatest interest in America and the West attacking that kind of radicalism, were Muslims. I would get calls in the middle of the night from leaders of Muslim countries saying: "You cannot be silent -- if you are silent, we have no hope." And they would then feed me information about what the radicals were doing, and sometimes would say: "I'll, of course, have to denounce you publicly, but you must keep it up because we're at stake, even more than the Christians are." And I'm troubled by the fact that this is not a priority concern for American and Western foreign policy. RFE/RL: Could you just give us -- both of you -- some sense of the dimensions of the problem? Marshall: Well, if you begin with Egypt, that's by far the largest sort of non-Muslim minority in the Arab world, you're dealing with 8-10 million Christians and a very old community -- one of the oldest Christian communities in the world. And there are increasing attacks on Christians. On January 6 this year, which is the Christmas Eve for Egyptian Christians, six worshippers were machine-gunned as they came out of church. At the moment there's been rumors flying around that women who want to convert to Islam are being kept prisoners in monasteries in Egypt. If you know anything about Egyptian monasteries, you know how ludicrous that claim is, but there's been demonstrations, mobs in the street calling for the death of the Coptic pope, the head of the Egyptian Orthodox Church, Pope Shenouda, so tensions are extremely high there. And Copts look back again 40, 50 years ago and say things were much better there. So you're getting that happening in Egypt. In Iraq, as we know, everybody in Iraq suffers, but the religious minorities, again they're 90 percent-plus Christian, but other groups, Yazidis, Mandaeans, these groups have borne a much greater brunt. They're not powerful. They don't have their militias, so in this case it's not a sort of sectarian fight. But they're weak; they can be picked on. And radicals including Al-Qaeda feel that they should have no place in Iraq, so that religious minorities, 4 to 5 percent of the population, are something like 30 to 40 percent of the refugees. So even with many terrible things happening in Iraq, the religious minorities are getting it more. You mentioned Pakistan. Increasing violence against Christians -- two villages destroyed in the summer last year -- and then also Ahmadis, who are sort of an unusual Islamic group -- many Muslims don't regard them really as Muslim, which is fine by me -- but they're being attacked in Pakistan and in other places, and that's not fine by me, or I think by anybody else. In Iran, certainly since Khomeini came to power, but in recent years since Ahmadinejad was in power as president, the religious minorities, Christians, especially Baha'is -- all their leadership is now in prison in Iran -- Zoroastrians, all these groups are feeling increasingly marginalized, as do Lebanese Christians. And then Palestinian Christians feel, of course, they, like all Palestinians, are caught in a conflict with Israel, which is a major problem for them. They have an additional worry with a group like Hamas, which is more Islamist rather than nationalist, and they're fearful about the sort of place they might have in a future Palestine if it's Islamist rather than Palestinian. So, a city like Bethlehem, which until a few decades ago was 80 percent Christian, it's now less than a third Christian; it's dropping. Jerusalem was a century ago maybe a quarter Christian, now it's about 2 percent. So, throughout most of the region, Christians are feeling threatened, and because to some degree they have been a window to the Western world, there's increasing emigration. And for those who are staying, increasing concern. RFE/RL: Do you feel that, to some degree, the supposedly secular governments or relatively secular governments -- say that of Egypt, of Mubarak, but other governments as well -- have to some degree become a little cynical in allowing the heat, the pressure to increase on minority, and particularly Christian communities in their countries, in some ways to steal some of the fire of the Islamists? I mean, the situation, it seems to me, is getting worse even in countries where Islamists are not in control. Marshall: This is the case especially in Egypt. The major opposition to the government is the Muslim Brotherhood -- it's claiming to represent true Islam -- so Mubarak and his successor want to shore up the Islamic credentials, they want to look very Islamic. And this means that, while I don't think the Egyptian government wants to talk at Christians, it's not going to go out of its way to defend them. And with these attacks on Christians, even the State Department has referred to a climate of impunity in Egypt with attacks on Copts. What had happened, the security forces either stand aside, or intervene late, but people are generally not punished for this, so the attacks continue. So the Christians provide a handy scapegoat, even for secular governments, as a sort of counterweight to the Islamists. Horowitz: Of course Paul's right, that Christians are the canaries in the coal mine; the victims whose victimization cows everybody else. As a Jew, I understand that Christians are playing in the Middle East the kind of role that Jews played over much of the history of Europe. And yet I think that the picture is not quite as bleak, or at least maybe more spotty, than Paul has suggested by only giving the example of Egypt. Pakistan is a country with which I am somewhat familiar. The bravest man I know is a man named Shahbaz Bhatti, who founded the All Pakistan Minority Alliance, probably had more fatwas against him as one of the leading lay Christians in Pakistan than Imelda Marcos had shoes. But he has since been elected to the Pakistani parliament and is now minister of minority affairs. He has met with the pope, he's met with -- the Italian foreign minister is coming to Islamabad to praise his work -- and he, in a remarkable way, got the four principal imams of Pakistan and other leaders of the madrasahs of that country, to issue a condemnation of Al-Qaeda, the Taliban, Islamist extremism, and he is continuing to do that work. Part of the problem is that the West, the State Department, doesn't recognize the importance of that. For the media it's like a "man bites dog" story and therefore, not really credible. But the fact of the matter is that in countries like Pakistan there is the beginning, even within the clerisy, of a reaction against that extremism, and I'll give you one reason why. In Pakistan and in lots of other countries, not only are these radicals killing Christians, they're killing lots of Muslims as well. And, so I think the situation is not quite as bleak. And I think with more aggressive commitment to religious freedom, a clearer attack on the murderers and the extremists from the West, more support for people who stand against the extremists, I think there is a voice of Islam that can take on these radicals. This is a battle for the soul of Islam that's going on, and while the bad guys have the lead, there are signs that they don't have a clear field, and we can help change that playing field. RFE/RL: I agree with you Mike that it's not all bleak. But there are, I think, certain assumptions that are afoot throughout the Middle East and North Africa, and one of them is this assumption of "the Muslim world." First of all, it makes it sound like there it's a unitary Muslim world that leaves no room for whoever doesn't fit the correct definition of Muslim. And second of all, it is being called "the Muslim world," no longer, for example, "the Arab world," which would allow for a number of possibilities of Arabs, including Jewish Arabs, including Christian Arabs. So, just in sort of laying the groundwork, have people in the West -- Americans, non-Muslims, and others -- accepted too readily this naming of a region as "the Muslim world" or "the predominantly Muslim world," is this something that we should question? Marshall: Thanks Jay. Yes, it is. And I've been concerned about this when the U.S. has appointed a special envoy to the Organization of the Islamic Conference. The United States has more Muslims living in the United States than one third of the Organization of the Islamic Conference does. We have Muslims too, so our concern about this categorization of the "Muslim world" -- in Muslim-majority countries there are about 200 million non-Muslims living -- and if we conceptualize this as the "Muslim world," then politically they can become invisible. So I would much rather refer to particular types of countries. We should refer to Egypt; we should refer to Iran. And we're certainly aware that these are Muslim-majority countries, but in the same ways we don't refer to the "Buddhist world" when we're talking about somewhere like Taiwan, Cambodia, or Burma. We should be very careful about referring to the "Muslim world." Even the term "Arab world" has its problems; there are Kurds living there, there are other ethnic and language minorities living there, there are Berbers as well. So sometimes we use these terms as shorthand, but conceptually, I think we should always stop ourselves and realize that this is a very plural, a very diverse region, just like the rest of the world. Horowitz: If I can interject there, Jay, not only should we not be silent about that characterization, we should challenge it with all we have. Because the takeaway message when we speak of the "Muslim world" is a unitary world controlled by the Islamists and the radicals. And Paul's point and my point is that we surrender Muslims to the reign of terrorists. Now, I'm not talking about, and Paul's not talking about what is, too sadly, American foreign policy, which is to appease the terrorists. I'm talking about challenging them, and doing so with the understanding that within the "Muslim world" there are silent voices that lack support. that are prepared, under the right circumstances, to take on the terrorists in this, as I've said, battle for the soul of Islam. Marshall: For many Muslims, being Muslim is not necessarily the first part of their political identity. For most Kurds -- most Kurds are Muslim -- but being Kurdish can be more important to them. For Egyptians, being Egyptian can be important to them, so by continually referring to the "Muslim world," or "Muslim countries," we're reinforcing the political identity of "Muslim." And that's an identity. which I would say, most Muslims in the world don't share. They would think of themselves as Indonesian, or Iranian, or Iraqi, or Turkish. So, we need to be aware of that too. by The Daily Star with additional reporting by Mohammed Zaatari, Lebanon News. November 9, 2010. BEIRUT: The Syriac Catholic Patriarchate and Amal Movement educational institutions paid tribute to the dozens of victims who were killed in a recent attack on a Baghdad church. Syriac Catholic Patriarch Ignatius Youssef III Younan presided over a Mass Sunday in Beirut, and received condolences from Prime Minister Saad Hariri and MP Fouad Siniora, the state-run National News Agency said Monday. An array of political and religious figures attended the sermon along with parishioners, some of whom were Syriac and Iraqi refugees in Lebanon. He added that the attention of the Arab League and the United Nations should be drawn to the Christian presence in Iraq, because Iraqi Christians had the right to full citizenship. More than 50 people were killed last week after gunmen from the Islamic State of Iraq – an Al-Qaeda affiliated organization – stormed Baghdad’s Our Lady of Salvation Church during Sunday Mass. The hostage-rescue operation failed to save the parishioners’ lives and doubts escalated over the future of the country’s Christians. After his meeting with the patriarch, Hariri voiced a few words of regret. “What happened in Iraq was a crime against Muslims and Christians and we will not accept that this incident passes unnoticed. We vow in front of God that we will keep fighting the enemies of humanity and religion because they are the enemies of God. We will keep fighting as Christians and Muslims for humanitarian values, freedom and justice,” he wrote. The patriarch also received condolences from MP Fouad Siniora, who voiced his strong condemnation in writing. “What happened will only make us grow further attached to the values that bind us as Christians and Muslims and to the religious and moral values we grew up with. We will stay united to confront every cowardly criminal act,” he wrote. The patriarch also received the condolences of many political and religious figures from various sects. In south Lebanon, educational institutions of the Shiite Amal Movement showed their support to Iraqi Christians through activities they held Monday. The institutions answered the call of Parliament Speaker Nabih to stand by the Iraqi people, and students from the Mostafah Chamran School in Sidon wrote articles and created drawings to express their outrage over the attack. The school’s activity supervisor Mohammad Ghazeleh explained that the students identified with the Baghdad incident because they had witnessed similar tragedies in South Lebanon. “We are all victims of world terrorism,” the students shouted unanimously, holding a banner with a quote of Imam Musa Sadr. “Confessions in Lebanon are a blessing but confessionalism is a curse,” it read. For reference and archive purposes: These videos will be downloaded and converted to various video formats. by Minority Rights Group, November 1, 2010. Minority Rights Group International (MRG) vigorously condemns the attack on Christians attending mass in a Catholic church in Baghdad on Sunday, and calls on the Iraqi government to fulfil its obligation under international law to provide effective protection for minorities. According to a BBC report around 100 people were celebrating mass in the Our Lady of Salvation church when it was attacked by gunmen, who proceeded to take worshippers hostage. Security forces stormed the church in an attempt to free the hostages. At least 52 people were killed. The number of wounded is estimated at between 56 and 62, including a member of MRG partner organisation the Iraqi Minorities Organisation and his son. He says they escaped death only ‘by a miracle’ and witnessed three priests being ‘brutally’ murdered by the gunmen. A statement has since been posted on a militant website reportedly saying Iraqi Christians would be ‘exterminated’ if Muslim women in Egypt were not freed. Religious and ethnic minorities in Iraq face unprecedented levels of violence. Many are forced to leave Iraq because they are specifically targeted for attack due to their religion and culture. The violence on Sunday night at the church of Our Lady of Salvation may increase the flow of Christians seeking asylum elsewhere. Christians in Iraq numbered 1-1.4 million in 2003, and today around 600,000-800,000 remain. In a 2009 report, MRG said a disproportionate number of those fleeing Iraq – somewhere between 15-64 per cent, depending on the country of refuge – are minorities. Iraqi Christians include Armenians and Chaldo-Assyrians, who belong to one of four churches: the Chaldean (Uniate), Jacobite or Syrian Orthodox, Nestorian, and the Syrian Catholic. Since 2003, Chaldo-Assyrian churches, businesses and homes have been targeted. In February 2008, the Chaldean Archbishop of Mosul was abducted and killed. In April 2008, Assyrian Orthodox priest Father Adel Youssef was shot to death by unidentified militants in central Baghdad. Armenians have faced the same targeting as other Christian groups. At least 45 Armenians have been killed, while another 32 people have been kidnapped for ransom, two of whom are still missing. Armenian churches in Iraq have also been targeted and bombed. Christians are at particular risk because of their religious ties with the West and the fact that they were allowed to trade in alcohol in Iraq under Saddam Hussein, making them a target in an increasingly strict Islamic environment. Minority Rights Group International (MRG) is a non-governmental organization working to secure the rights of ethnic, religious and linguistic minorities and indigenous peoples worldwide. by Chris Chapman and Preti Taneja. September, 2009.
by MRG. December 10, 2007.